On Mars: Exploration of the Red Planet 1958–1978 from the NASA History Office. Mars Society—The Mars Society, an international organization dedicated to the study, exploration, and settlement of Mars. Video - Mars (National Oceanic and Atmospheric Administration). 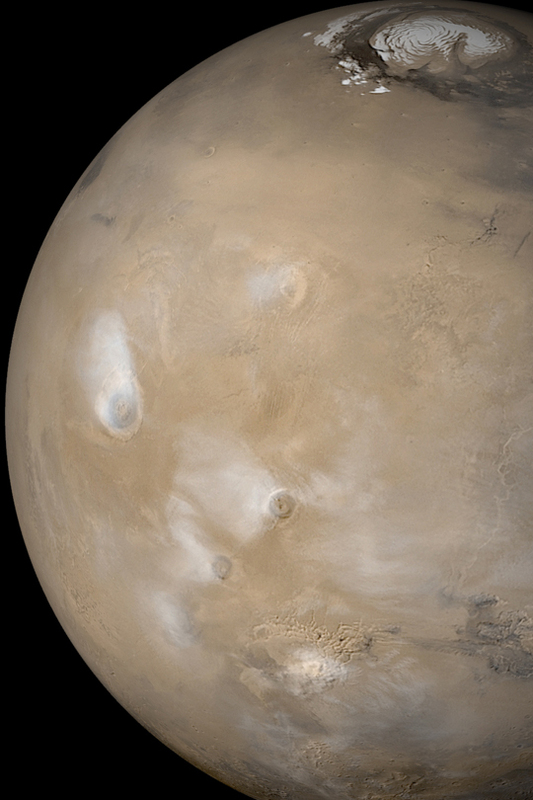 Video (04:32) – Evidence for "Vigorously" Flowing Water on Ancient Mars (September, 2012). Panoramic View of Gale Crater on Mars (4 billion pixels) (March, 2013). Panoramic Views of Mars (Curiosity Rover 1 and Curiosty Rover 2). Computer Simulated Flight into Mariner Valley. 15 Amazing Pictures of the Red Planet – slideshow at The Huffington Post.